The market is segmented by Material Type (Alumina, Titanate, Zirconia, Silicon Carbide, Aluminum Nitride, Silicon Nitride, Magnesium Silicate, Pyrolytic Boron Nitride, and Other Material Types), Class Type (Monolithic Ceramics, Ceramic Matrix Composites, and Ceramic Coatings), End-user Industry (Electronics and Electricals, Transportation, Medical, Industrial, Defense and Security, Chemical, and Other End-user Industries (Including Construction)), and Geography. 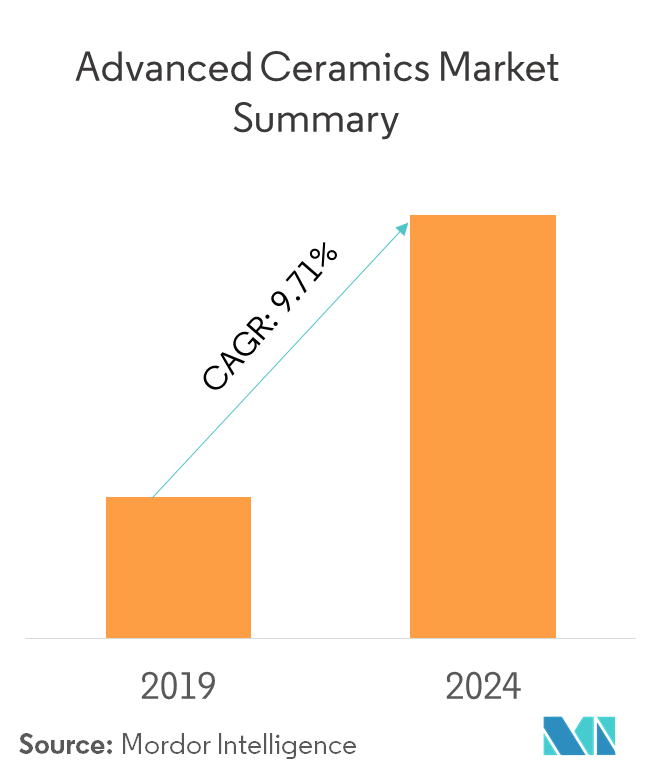 The market for advanced ceramics is expected to register a CAGR of ~9.71% during the forecast period of 2019 - 2024. The major factors driving the market studied are the rise in use as an alternative to metals and plastics and the growing demand in the medical industry. High capital cost is expected to hinder the growth of the market studied. The electronic and electrical industry dominated the market in 2018 and is expected to grow during the forecast period, owing to a wide-range of electrical properties of advanced ceramics, including insulating, semi-conducting, superconducting, piezoelectric, and magnetic properties. Increasing usage in photovoltaic modules, wind turbines, and pollution control applications and increasing applications of silicon carbide (SiC) and gallium nitride (GaN) are likely to act as opportunities in the future. Asia-Pacific dominated the market across the globe with the largest consumption from the countries of China and Japan. Advanced ceramics have a wide-range of electrical properties, including insulating, semi-conducting, superconducting, piezoelectric and magnetic properties. Gradually, these electrical components, such as sensors, antennas, capacitors, and resistors, are getting smaller and more capable. 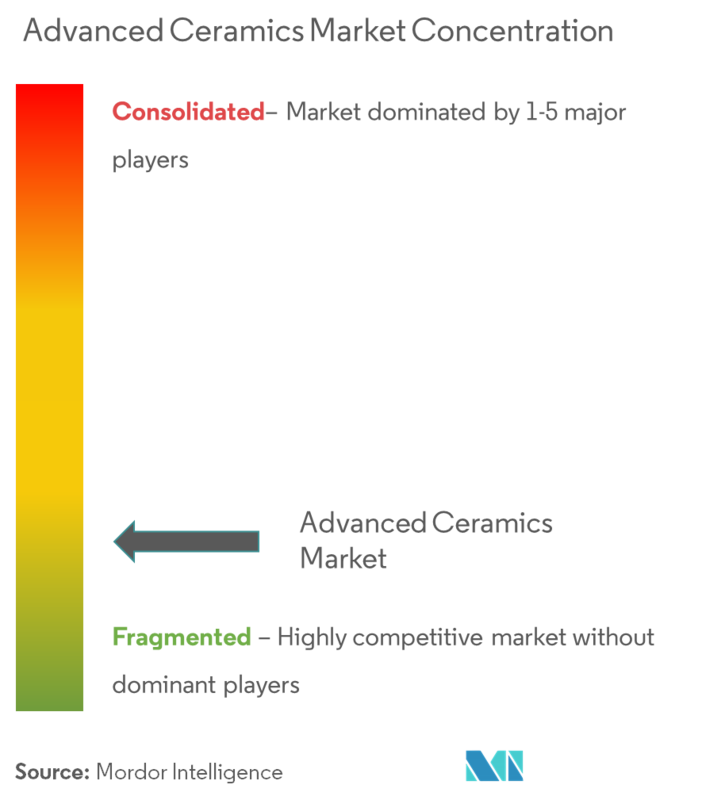 Therefore, this is a major area of development for advanced ceramics. The production of cellular phones, portable computing devices, gaming systems, and other personal electronic devices will continue to spark the demand for semiconductors, capacitors, and other advanced ceramics-containing electronic components. The growing electrical and electronic industry is estimated to boost the demand for advanced ceramics over the forecast period. The Japanese electrical and electronic industry is one of the world’s leading industries. Japan is a world leader in the production of video cameras, compact discs, computers, photocopiers, fax machines, cell phones, and other key computer components. Consumer electronics account for one third of Japan's economic output. The government’s approved growth strategy, better known as the “Rebirth Strategy for Japan”, is focused on strengthening the manufacturing sector (which has targeted the development of new industries by 2020) and would cost around USD 1.3 trillion. The primary focus has been on the medical sector and energy sector, among others. The Japanese automotive industry is one of the world’s largest industries. This is due to the investments made in the sector, which helped it grow. The Japanese automobile industry produces the third-largest number of vehicles in the world. The automotive industry recorded a growth of 5.31% in 2017 and reached a total of 9,693,746 vehicles. These growth trends are anticipated to boost the advanced ceramic market in Japan over the forecast period. 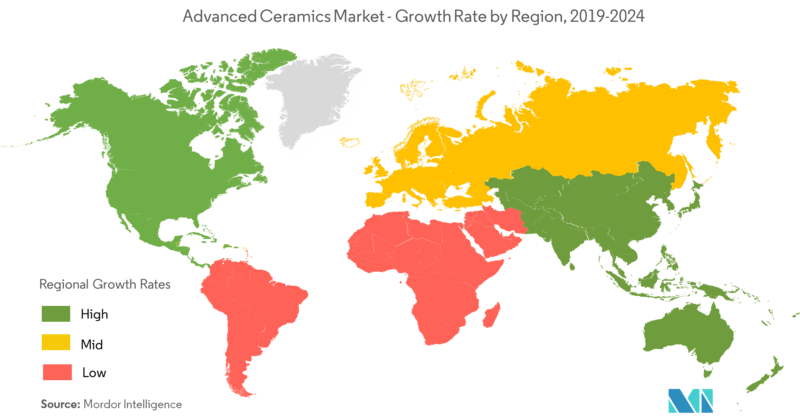 The advanced ceramics market is moderately fragmented, owing to the presence of many global players who manufacture and supply conventional and advanced ceramics globally. 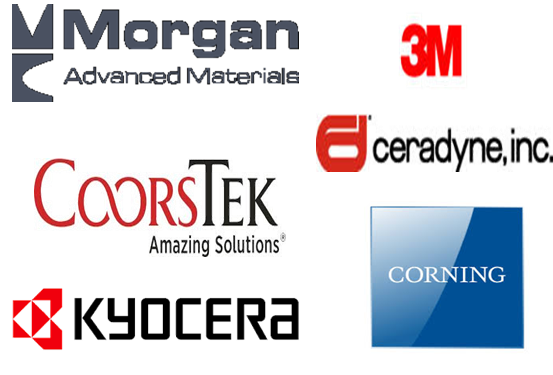 The major players of the market studied include Kyocera Corp., CoorsTek Inc., 3M (Ceradyne Inc.), Morgan Advanced Materials, and Corning Incorporated, among others. 6.4.3 Blasch Precision Ceramics, Inc.
6.4.13 Momentive Performance Materials Inc.
6.4.18 Small Precision Tools Inc.